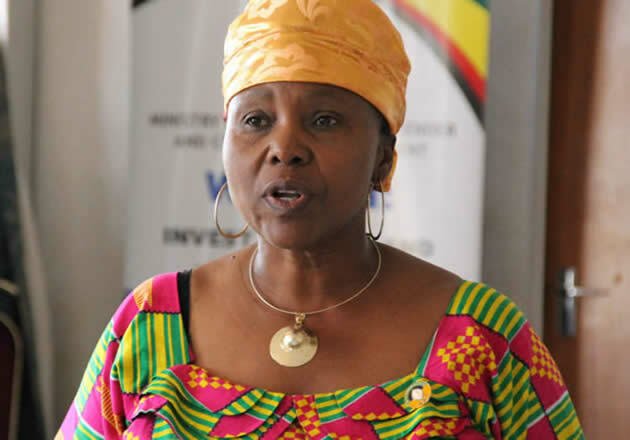 NEWLY-appointed Defence and War Veterans Affairs minister Oppah Muchinguri has pleaded with women to celebrate her historic appointment while promising to be equal to the task of managing a key ministry and being the chairperson of Zanu PF at the same time. Muchinguri, who is a member of the Zanu PF presidium by virtue of being party chairperson, made history by becoming the first woman to preside over the Defence ministry. Her appointment to the ministry also comes at a time President Emmerson Mnangagwa is under fire from women's groups for appointing only six women in his 20-member Cabinet. "A woman's touch is always different and if you see there are all men at the top and I know women are looking up to me to ensure there is a gender balance across the board," she said in an interview at State House on Monday during the swearing-in ceremony. "This is not new to me and I have been at the helm of the women's league and I have also been at the helm of the Women's Affairs ministry which is a task and half. Fifty-two percent of the population is female and I being at the helm is a lot of work. "Considering the journey that we have travelled as women, this is really a drop in the ocean. I am a war veteran, militarily-trained and I was a commander, and so this is not new." Muchinguri promised to improve the welfare of war veterans. "As the economy grows, that will also open opportunities for war veterans. I am also looking at land redistribution and mining because war veterans really deserve the share," she said. Meanwhile, Primary and Secondary Education minister Paul Mavima said the government was looking at developing school infrastructure and electrifying all schools in the country. He said there was no looking back on the new curriculum and that the government hopes to help schools which are struggling with materials. Mavima said they intended to build 2 000 more schools and the current supply of teachers will not meet the demand, hence the need to tap into the bulk of unemployed teachers.